For iOS users, they will get 5 GB of free storage space after set up iCloud. But it tend to be easily reach the limitation. Should you buy extra storage? Maybe you should try to optimize the usage of iCloud. Read this article and get some tips to fix not enough iCloud storage on iPhone/iPad/iPod touch. You can take an overview of iCloud status and the available storage of your iPhone, iPad or iPod touch. 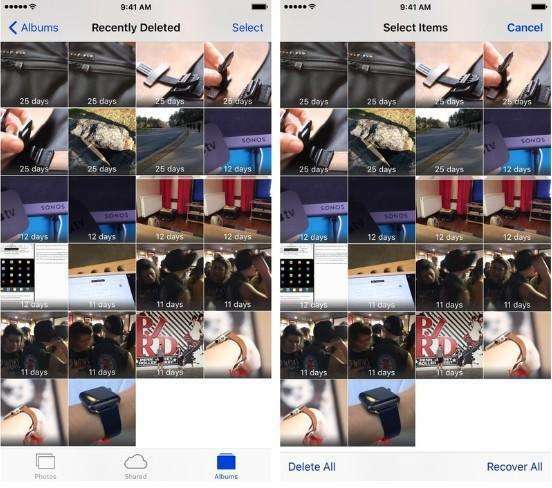 Photos and videos can take a large part of your iCloud storage. Regularly clear up them can be helpful. Before to do so, don’t forget to back them up first. If you have the habit to back your apps, you can choose to turn off the back button of apps. Go to Setting >> iCloud >> Storage & Backup >> Manage Storage. Pick up the Apps that you don’t want to backup and tap turn off and delete. Some apps in your iOS device will store lots of useless files, regularly uninstall and reinstall can help to clean those junk files and temp files, which can be caches, cookies, log files and other types files that you don’t need. Take an overview of your apps and tap those unwanted ones and delete. If you run out of iCloud storage, you iOS device cannot backup to iCloud any more. Here we will share you another way to make a backup without using iCloud. The Backup & Restore feature of Tenorshare iCareFone is designed to help you to back up device and restore from backup in case of data loss. Moreover, it allows you selectively backing up data from device so that you will save much valuable time. Easily download and install iCareFone, launch this software, connect your iPhone and click “Backup & Restore”, select the type of data you want to recover. That is the easy steps to guide you backup files with iCareFone so as to save more storage space. If your iPhone is running out of storage, try this backup and restore program for iPhone. These days almost all the people are focus on the iPhone 6, iPhone 6 Plus and Apple Watch that most of them have ignored another important Apple introduction-iCloud Drive. iCloud Drive was announced at WWDC in June, and just on Tuesday iCloud release tops out at 1TB storage per month. The price is lower, but still more expensive than other competitor like Dropbox, Google, and Microsoft. The storage and price are attractive, yet, what most appealing to us are the iCloud Drive enables transferring data between Mac and Windows platforms directly. In addition to storage and sync data, it also allows to manage data as edit files, share files like Google Drive, drag-and-drop data. And all the photos will be backed up automatically to iCloud so that all the iOS devices are able to use these photos. The iCloud Drive will be launched along with iOS 8 full version released on September 17. If we are back to two weeks ago, you must desire iCloud Drive can be launched as early as possible. However, in the end of August, iCloud was hacked and celebrity photo leaks. Although Apple claimed that the iCloud hack has nothing to do with Apple, the origin is iCloud password is not strong, still we are worry about the scrutiny iCloud, and some users even gave up iCloud and turn to find iCloud alterative for iPhone data backup. Yeah, there is no harm to try some other safer and easier way than iCloud. The common ways to backup iOS data is to use iTunes, iCloud or third party backup tool, if you have any better suggestion, welcome to share it with us in the comment below.